There is no type of garage door problem that our repair specialists can't handle. We also specialize in performing a variety of installation related tasks. Take a look at our latest projects to learn how we can help you. 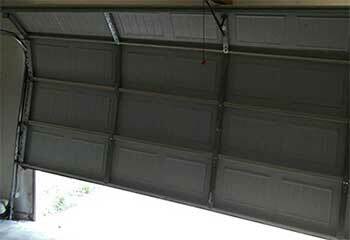 Customer Issue: Garage door no longer locked into the track. Our Solution: Our experts inspected the track and door to find where the door had popped out of the track before opening it up to be able to guide the wheels back into the track and close it. We then tested to confirm it was running properly. 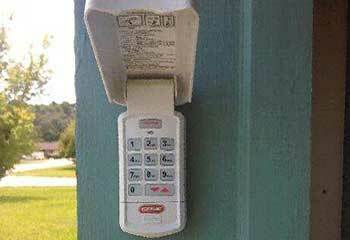 Our Solution: Our team checked the remote's calibration, as well as its batteries and the opener's receiver. We finally discovered that some of its internal wiring of the remote was damaged, so we replaced it with a Chamberlain KLIK1U Clicker universal remote and calibrated it with the customer's opener. Our Solution: Following safety procedures, we removed the leftover parts of the damaged spring and then installed the new galvanized one in its place. 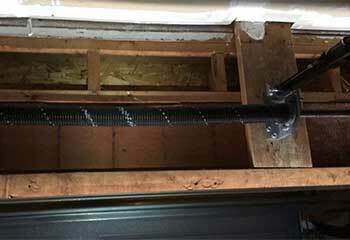 The lift cables were looking frayed too, so we replaced them as well to make sure the door was safe to use once again. Customer Issue: Needed to have an opener installed. Our Solution: As the customer already had the new opener (a Craftsman 57918 DieHard® belt-drive unit), our team only had to install it. 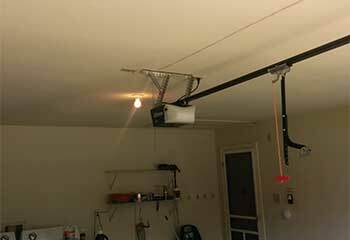 We attached the drive-system to the door and made sure the main unit was properly secured into the ceiling before explaining to the customer how the model's different features worked. Count on our technicians for anything from repair to replacement. You'll never be unhappy with the work we do for you. Speed isn't just a matter of pride for us. It's a matter of principle. If reliability and efficiency is what you look for in a service provider, well then, look no further.